The hip joint is a ball and socket joint, where the leg joins the pelvis. When the hipbone moves in the socket, a set of cartilages helps to prevent the friction between the bone and the socket. The hip joint is also strong enough to take on wear and tear throughout your life, however, factors such as damage to the cartilage, age, fracture, or an injury can cause hip joint pain. Applying ice over the area in pain can help to reduce the aching to some degree, but may not provide a long lasting relief. If you are experiencing pain, you should consult with a doctor in order to receive proper treatment before things get worse. Mild forms of hip pain can be contained by having proper rest, physiotherapy, or by taking anti-inflammatory medications. Where physical therapy aims to increase the strength and flexibility of the muscles around the joint, anti-inflammatory medications are mainly used to treat issues caused due to arthritis, bursitis, muscular tears, labral tears, tendonitis, or synovitis. Hip pain can cause discomfort to the thighs, inside and outside the hip joint, groin, and buttocks area. 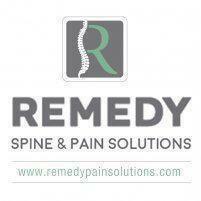 Sometimes people could develop a limp if the pain remains untreated for a long period of time. A hip injection is recommended in such conditions, which not only provides pain relief, but also assists in diagnosing the actual cause of the pain. Usually in these cases, cortisone is applied along with numbing. Before having a procedure, the skin above the hip is cleansed and then numbing medicine is applied. X-ray guidance is used to direct a needle into the source and a mixture of anesthetic and anti-inflammatory cortisone is injected into the joint. After taking the injection, patients will feel relief from the pain for about two to five days. Some of the side effects for this type of procedure include allergic reactions, infection, swelling, whitening and thinning of the skin, and rupture of a tendon in the path of the injection. However, these types of side effects are usually rare and do not last long, and patients can start with their regular day to day activities soon after having the procedure.